Austin, the capital of Texas, lies at the point where the Colorado River leaves the Edwards Plateau. The second largest state capital in the United States, Austin was founded in 1839 and named after Stephen F. Austin, the "Father of Texas." Today, Austin is an important administrative, educational, and cultural center, home to the University of Texas, the Lyndon B. Johnson Library and Museum, and the Bullock Texas State History Museum. Other tourist attractions include the red-granite State Capitol, which was modeled after the Capitol Building in Washington, DC; several museums, including the Lyndon Baines Johnson Library and Museum; and numerous attractions on the campus of the University of Texas at Austin. Despite the fact that it is a large city, Austin has a plethora of green spaces and things to do in nature and is well known for its huge bat population that wows crowds as the animals emerge in the evening from beneath the Congress Avenue Bridge and take flight in spectacular formations. Completed in 1888, the State Capitol and its 22 acres of grounds and monuments are home to the office of the State Governor and the Chambers of the Texas Legislature. Protected as a National Historic Landmark, the building impresses with its dimensions; at 308 feet tall, it ranks as the sixth tallest state capitol, taller even than the US Capitol in Washington, DC. Visitors can stroll the park via the tree-lined path called the Great Walk and admire the numerous monuments, including the Texas African American History Memorial, the Vietnam War monument, a bronze statue of a Texas Ranger, and even a miniature Statue of Liberty that was presented in 1951 by the Boy Scouts of America. 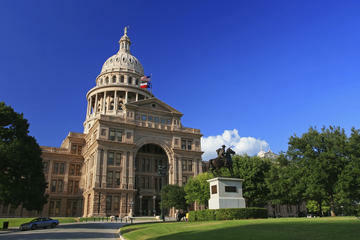 The Visitors Center is located on the grounds and features exhibits about the history of Austin and the state of Texas. Free tours of the Capitol Building are given daily, except holidays. Also of interest is the recently restored Texas Governor's Mansion, accessible via free guided tours (reservations required). Austin's most popular green space, the 351-acre Zilker Park is a favorite recreation area that sits alongside Lady Bird Lake and offers many things to do. The park's grassy expanses and picnic sites are ideal for lazy afternoons, but there are also many recreational facilities for the public to enjoy, including riverside walking trails, volleyball courts, a disc golf course, and the Zilker Playscape, a large playground with its own section designed for kids aged two to five years. Kids will also love the Zilker Zephyr, a miniature train that runs along the water's edge. Water recreation is popular at the park as well, with canoe and boat rentals available, as well as the family-favorite Barton Springs Pool. The park is also host to several major music events, including the Zilker Hillside Theater's annual Zilker Summer Musical, Blues on the Green, and the celebrated Austin City limits Music Festival. The 26-acre Zilker Botanical Garden is the park's most beautiful area, open daily for a small entrance fee. Within, there are several individually themed gardens, including the Hartman Prehistoric Garden, which is built around ancient dinosaur footprints found embedded in the rock, and the Isamu Taniguchi Japanese Garden, which features serene waterfalls and ponds. There are also gardens dedicated to butterflies, cacti and succulents, herbs, and roses. The Austin Nature and Science Center is also located on the grounds, open daily with no admission charge. It is celebrated for its interactive exhibits and programs, as well as its numerous trails and special events designed for all ages. Kids especially enjoy the Dino Pit, where they can be amateur archaeologists. The park grounds are also home to one of Austin's top tourist attractions, the Umlauf Sculpture Garden and Museum. Named after the wife of President Lyndon Johnson, Lady Bird Lake is actually a section of the Colorado River that covers 416 acres and has become one of the city's top recreational areas. Although lined with hotels and residential complexes, the majority of its shoreline is open to the public, with miles of excellent trails for pedestrians and cyclists, including the Ann and Roy Butler Hike and Bike Trail and Pedestrian Bridge, which crosses the river and connects downtown Austin with the southern shore. The paths connect many of the city's parks, including Zilker Metropolitan Park, the Town Lake Metropolitan Park's Vic Mathias Shores, Lamar Beach, Butler Shores, Waller Beach, and Eilers Neighborhood Park. These trails also lead to popular tourist sites near the river, like the Stevie Ray Vaughan Statue, Congress Avenue Bridge, the Long Center of Performing Arts, and the Barton Springs Municipal Pool. Motorized boats are prohibited, however on the north shore, the Texas Rowing Center provides kayak and canoe rentals and lessons, and on the lake's south shore in Zilker Park, the Rowing Dock offers rentals and instruction for paddle-boards, kayaks, and paddle-boats. Canoe and kayak rentals are also available for use on Barton Creek, which is within the park. One of Austin's most unique things to do is enjoy the evening flight of the Mexican free-tailed bats that have made the Ann W. Richards Congress Avenue Bridge their home. The world's largest urban bat colony, up to one-and-a-half million of these insect-devouring critters take to the sky at dusk each evening from March through November. The result is a stunning display as they fly from beneath the bridge and up to heights of two miles in massive formations so they can dine on mosquitoes, moths, grasshoppers, and other flying pests. It can take up to 45 minutes just for the fuzzy mammals to all exit their home, and once the pups (babies) are old enough, they accompany their mothers on the evening flight. There are many vantage points from which you can enjoy the sight, with the area surrounding the bridge the most popular. Others enjoy watching from boats on Lady Bird Lake or from the Statesman Bat Observation Center, which sits at the southern end of the bridge. In conjunction with Bat Conservation International, the center is an eco-tourism destination, striving to increase awareness of bats and educate the public on their importance. In addition to being the first of the Texas University System campuses, the University of Texas at Austin is home to several top tourist attractions. The Jack S. Blanton Museum of Art has a permanent collection of 17,000 pieces of European, American, and Latin American art. The museum also hosts numerous temporary exhibits. Also on campus is the Harry Ransom Center, which houses a permanent collection of rare literature and printed materials and also has numerous temporary exhibits and collections on display. Among the museum's most prized pieces are a Gutenberg Bible from the mid-fifteenth century and the First Photograph, a heliograph developed on a pewter plate that was created in 1827 by Joseph Nicéphore Niépce. The Texas Memorial Museum is part of the Natural Science Center at the University of Texas and features a huge collection of items representing the natural and cultural history of the Lone Star State. Highlights include numerous dinosaur displays, fossils, gems, and minerals, as well as the famous Wichita County meteorite, a large space rock regarded as a medicine stone by Comanche Indians. Another impressive tourist site at the university is the landmark UT Tower, infamous for the tragic shooting in 1966. With a height of 307 feet, the tower provides beautiful 360-degree views of the city of Austin; tours are self-guided and include information on the architecture and history of the structure. Although swimming in Lady Bird lake is prohibited, nearby Barton Springs Pool in Zilker Park is Austin's favorite place to cool off. A spring-fed pool along Barton Creek, it covers an area of three acres and has an average temperature of 70 degrees year-round. Locals and tourists alike enjoy the grassy tree-lined perimeter and perfect water that reaches up to 18 feet deep. The area is also considered a protected habitat for the endangered Barton Springs Salamander, which is only found in this specific aquifer. Because of the delicate balance between recreation and nature, the pool is closed for most of the day once a week for a specialized cleaning that protects the wildlife form harsh chemicals while keeping swimmers safe. The pool is open to non-residents for a fee; hours vary by season. The Bullock Texas State History Museum tells the state's story through a variety of interesting interactive exhibits, along with audio-visual displays and film. The museum's IMAX theater shows educational and popular new-release films. The permanent Story of Texas exhibit is home to artifacts and displays that feature defining events in the state's history, like the preserved hull of the 17th-century La Belle, which was shipwrecked at the mouth of the Mississippi River. Other exhibits and presentations include the fall of the Alamo, Tejano culture, and the history of the Texas oil industry. The museum also hosts many special events throughout the year, including children's activities and public presentations. One of the most visited attractions in Austin, the Lyndon Baines Johnson Library and Museum boasts more than 45 million pages of historical documents and papers from President LBJ's lengthy career. The museum, dedicated in 1971 and refurbished in 2013, contains exhibits relating to the president's time in office, as well as important issues of the day, including the rise of the civil rights movement. Also of interest is an impressive scale replica of the Oval Office as it would have been during Johnson's presidency, and many temporary exhibits related to American history are hosted throughout the year. Representing one of the city's largest cultural influences and populations, the Mexic-Arte Museum showcases traditional and contemporary Mexican, Latino, and Latin American art and culture. Founded in 1983, the museum features rotating exhibits, many of which are thought-provoking statements about current issues, like immigration, border control, and acceptance of Mexican culture in Texas. There are numerous installations and topic-focused galleries that include the artwork or sculptures of one or more artists, and several that are collections of photography, painting, and multimedia work that represent populations within the culture. The museum also hosts free "family days" several times a year, when the public can participate in hands-on activities that help visitors get a deeper understanding of the artists' work. Dedicated to the understanding and appreciation of American sculpture, the Umlauf Sculpture Garden and Museum features a number of works by 20th-century sculptor Charles Umlauf. Located in the Zilker Metropolitan Park, the outdoor sculptures are on display among the trees, gardens, and ponds that surround the museum. Inside, visitors can see more of Umlauf's work in addition to exhibits about the artist's life and displays of personal artifacts and mementos. The museum also features temporary exhibits of other artists' work and hosts events such as concerts, workshops, and even yoga classes among the sculptures outside. Guided tours are available. Of the many things to do outdoors in Austin, Mount Bonnell is one of the most popular with tourists because of its numerous photo-ops and proximity to the city center. The highest point in the city, it reaches 775 feet and provides views of downtown Austin and the 360 Bridge. It also looks out across the Colorado River and is the perfect place to take photos of Austin's skyline. Although the lookout deck and pavilion are at the top of 102-stairs, it is not a steep or strenuous climb. Pets are welcome on the path and on the observation deck, and many enjoy picnicking while admiring the view. Luxury Hotels: Looking out over Lady Bird Lake and not far from the entertainment districts, the Four Seasons Hotel features lovely grounds, a saltwater pool, and luxury suites. The InterContinental Stephen F. Austin, conveniently located between the 2nd Street District and the state capitol, is one of the city's iconic hotels, with an Art Deco façade, large rooms, and a state-of-the-art fitness facility complete with a lap pool. The W Austin is as close to the music scene as you can get, with Austin City Limits right next door, and for something a little different, the Hotel Ella is a converted mansion dating from 1910, just a little outside the city center. Mid-Range Hotels. Mid-range hotels are scarce in the city center. At the upper end of this category is the Hyatt Regency, with a prime location on the Colorado River waterfront and just a short walk over a bridge to downtown. The Crowne Plaza, a large property with a great outdoor pool, is just over five miles out from the city center and easily accessible at the intersections of two major highways, I35 and 290. A great option only three miles from downtown is the Best Western Plus, which was completely renovated in 2013. Budget Hotels: Just steps from the capitol building and about a five-minute walk from the 6th Street area, La Quinta Inn & Suites is a good budget option in downtown. A short distance outside the city center are the Rodeway Inn & Suites and the recently renovated Red Roof PLUS+, both with outdoor pools. While there's much to see in the heart of Austin, there's no shortage of fun things to do within an easy drive of the capital of Texas. If you're in the mood for a little history-hopping, be sure to visit Jourdan-Bachman Pioneer Farms on the outskirts of the city, a "living history" attraction that explores the history of Texas through themed historical recreations of life in the 1800s. Another must-visit is McKinney Falls State Park. In the southeastern corner of Austin, these spectacular waterfalls provide a perfect place to get away from the city and explore some of the most picturesque scenery in Texas. If you're looking for a "small-town-Texas" experience, take a drive to Bastrop, a scenic little town on the Colorado River boasting more than 125 buildings listed on the National Register of Historic Places, many of them on Main Street. The area also offers a wealth of recreational opportunities with plenty of great golf; hiking and biking trails; and the Colorado River for fishing, boating, and watersports. 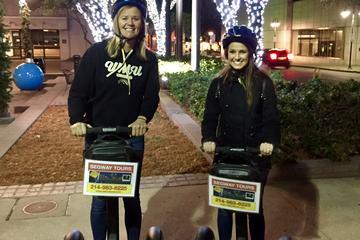 Sightseeing by Segway: A fun and informative way to see the city's top attractions is the Downtown Austin Historic Segway Tour, which stops at historic landmarks, like the Capitol Building, and tours the beautiful paths along Lady Bird Lake. The two-hour guided tour includes instruction on Segway use and safety and a knowledgeable guide, who will be sure to stop for plenty of photos and provide commentary on the best sites in Austin. Sightseeing by Coach: The Austin and Texas Hill Country Small-Group Tour allows tourists to receive personal attention from the informative guide in a group of 11 or fewer. Relax and enjoy the sightseeing from a luxury coach while exploring the city and surrounding area, including the University of Texas and the landscapes of Texas hill country.